There’s nothing quite like building your first robot. 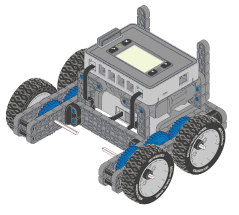 The Clawbot IQ enables even a complete beginner to build and test a fully functional teleoperated robot! 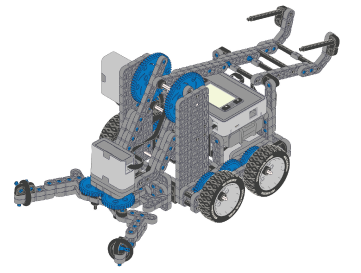 Just use the easy to follow VEX IQ Clawbot Assembly Guide, or animated assembly instructions and you’ll be on your way. Option 1: Follow the assembly instructions to complete and test the Standard Drive Base only. This gives you a fully functional drivetrain that can be operated and modified with your own creativity. Also note that this robot base will be the basis for other lessons as well, so your work will be used! Option 2: Follow the assembly instructions to complete and test the Standard Drive Base then continue using the assembly instructions to build and complete the claw, tower, and object holder. Suggested test objects to use for full Clawbot IQ testing are VEX IQ Challenge game objects, tennis balls, cubes, or any similar object. No matter which of the two options above you and your teachers choose, the Build Rubric can be used to assess your build and even serve as a troubleshooting guide as you move through the process, preparing you for the open ended challenges in later units when you make the design decisions!